The doom and gloom of the Mike Ashley era may be coming to an end, with light at the end of a decade-long tunnel but Rafa Benitez said it best this week. As Ashley officially put Newcastle United up for sale with some rather enticing carrots to start negotiations, the Magpies manager, professional and focused to the last, stressed that speculation cannot interfere with on-pitch matters. Crystal Palace are next in town on Saturday, and they will pose a different challenge to any the Magpies have faced this season. 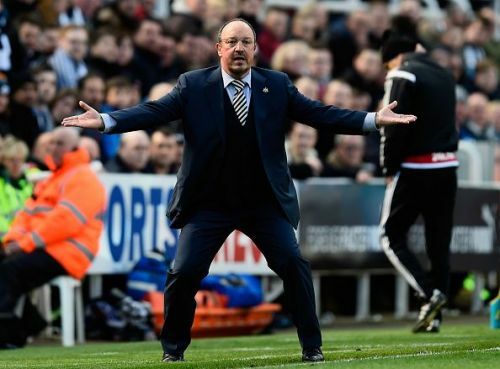 For the first time since promotion, Newcastle come into a league game as overwhelming favourites. Against the likes of West Ham and Huddersfield back in August, or Brighton last month, they may have been predicted to win, but there was almost as much chance of them losing, which they did in two of them. Roy Hodgson brings his side to St James’ Park with more confidence than previous weeks after a shock 2-1 win over champions Chelsea at Selhurst Park; not only yielding their first points of the season but their first goals too. It has officially been the worst start to a Premier League season ever, and with no recognised striker for Hodgson to select, on paper this still looks like Newcastle’s most winnable game yet. Steve Parish, the Eagles’ chairman, made arguably the most controversial managerial decision the top flight has ever seen when he hired Hodgson to replace Frank de Boer after just four games. The Dutchman brought with him a certain aura and identity when he arrived in the summer; his possession-based, progressive ideology was the chalk to previous boss predecessor Sam Allardyce’s cheese. Parish had spoken about wanting de Boer to implement his philosophy, perfected at Ajax where he won four league titles, but he wasn’t patient enough to give him a chance, neither were the players. In September, they returned to the organised, direct, counter-attacking style they had become known for, but tough fixtures against both Manchester clubs and Chelsea immediately put Hodgson on the back foot. Aided by the return of talisman Wilfred Zaha, Palace played perfectly on the break against the Blues. Antonio Conte’s men were incredibly flat in attack without top scorer Alvaro Morata and much easier to play against than usual; it can be no coincidence that N’Golo Kante was out injured. There were certainly lessons for Newcastle to heed; they currently sit ninth after eight games and the secret to their success has been playing into the space created by inviting teams onto them. In many ways, life has been made easy for them. Mark Hughes admitted Stoke City played into their hands in the 2-1 victory; Liverpool wasted chance after chance earlier this month. It will be interesting to see how Benitez deals with a team who will most likely look to give him a taste of his own medicine. Statistics suggest Newcastle may struggle; two of their three defeats, against Huddersfield and Brighton, could have been avoided had they been more effective in attack and it was a similar story in the Championship, especially at home. When Benitez’s plan works, as it has more often than not, Newcastle look a compact, organised, solid Premier League side. That is all they can really hope to be under Mike Ashley and that is why there has been such a jubilant backdrop in the build-up to this encounter with the news he’ll look to sell the club. He has tried twice before, but feeble attempts suggest he has never been fully motivated; scepticism from the fans he has angered so often over the last ten years is understandable, but the fact he has dropped his asking price, formally put the for sale signs up and made it clear payment can be done in stages, make it clear the wheels are in motion. There was no better proof of Newcastle’s progression under Benitez than the disappointment felt after the draw with Southampton last week. St Mary’s has been the scene of some nightmare games, but there really are some selection headaches for Benitez ahead of the weekend as a result. Balance is needed in the lineup, whilst they do not want to leave themselves open in behind against the pace of Zaha and the returning Andros Townsend, being slow in the build up and not forcing the issue enough will lead to them playing right into the visitors' hands. Townsend’s impressive form during his six-month stint at Newcastle, before leaving in a bid to save his England career, may secure him a better reception from the home fans than Georginio Wijnaldum or, most definitely, Moussa Sissoko. Known for not being sentimental, it is likely that Benitez will drop Isaac Hayden to the bench and welcome Mikel Merino back into the starting eleven alongside Jonjo Shelvey. All three have been in fine form, with Hayden even opening the scoring against the Saints, but as the others showed against Liverpool, they can make the transition from defence to attack much quicker. Getting Christian Atsu on the ball has been crucial all season, but it takes on a new level of importance on Saturday. Everything seems so exciting at Newcastle United, with the prospect of a takeover unlocking the potential of the club seeming more and more possible by the second. But a more pressing issue is at hand, and there will be new challenges for Newcastle to face back on the pitch this weekend.